The ultimate X-Men ensemble fights a war for the survival of the species across two-time periods in X-MEN: DAYS OF FUTURE PAST. The beloved characters from the original “X-Men” film trilogy join forces with their younger selves from “X-Men: First Class,” sending Wolverine to the past in a desperate effort to change history and prevent an event that results in doom for both humans and mutant. I’m not sure if I ever mentioned this anywhere in my site, I was a later bloomer in the movie critic industry. It was only in the past 2 years or so when I started watching and reviewing movies actively, which was why I can’t blame my fellow movie critic friend, Bobby for commenting how I seem to have never watched the original version of movie remakes nor the prequels. Well, this goes the same for X-Men, since the last X-Men film was in 2011. 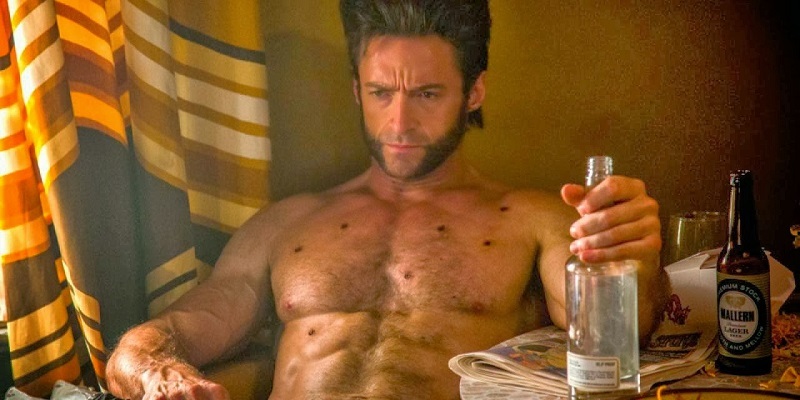 To me, X-Men has be loosely linked with Hugh Jackman for his role as Wolverine, and vague memories of watching the painful process of turning his claws into adamantium on TV. Besides him, the other characters such as Storm, Magneto and Kitty Pryde were strangely familiar, as they’ve appeared in the Marvel Alliance Facebook Game. I can’t help but link Jennifer Lawrence to Katniss and Nicholas Hoult to his “Warm Bodies” zombie character. The off-screen couple were the only two blue mutants, which made me wonder if that was purely coincidental. While Nicholas Hoult as Hank McCoy has plenty of screen time but nothing much to do, Jennifer Lawrence as Mystique was able to make the character her own. Her fight with the guards and mutants (including the beautiful blue body-hugging outfit which brought out her great figure) was pretty impressive. Like many, the most memorable and the funniest scene will be that of QuickSilver’s. He’s “speedy” appearance, taping the guards to the lift, and using his super-speed to perform some slow-motion bullet-cam slapstick moves had taken away all the attention from the other mutants. 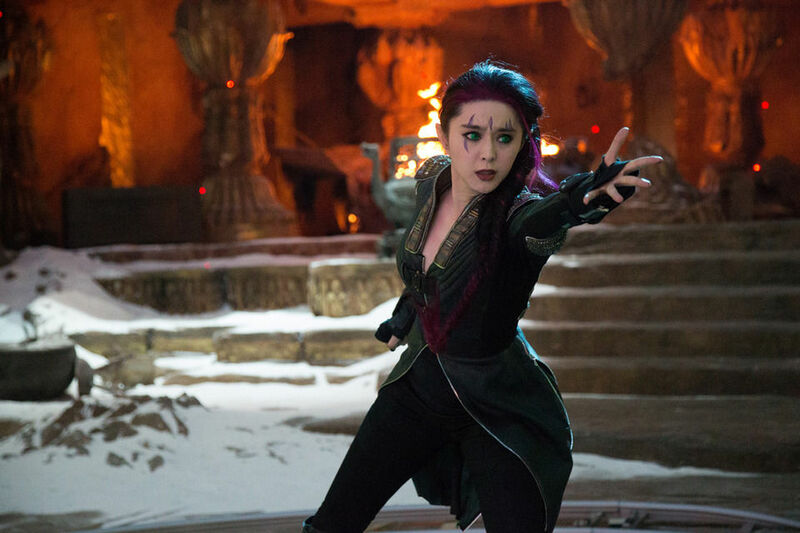 Fan Bing Bing being casted as Blink is one of the most celebrated news as she is the first Asian face in the X-Men franchise. Although she had only one line, “Let’s Go.”, her unique appearance and powers to be able to teleport at will are enough to make the audience notice this character. Beside Mystique, she’s one character I will love to see in the next few series of X-Men. What made me take time out of my filming schedule to catch the movie was a particular Facebook status about how X-Men: Days of Future Past makes the Avengers look like a joke. Being a Marvel Super Hero Universe supporter, I want to watch it and judge it for myself if that’s true. While there is a solo film for most of the Avengers superheroes, hence more familiarity with the characters, in the X-Men, non-comic fans might have difficulty following the numerous characters and numerous plot complications. 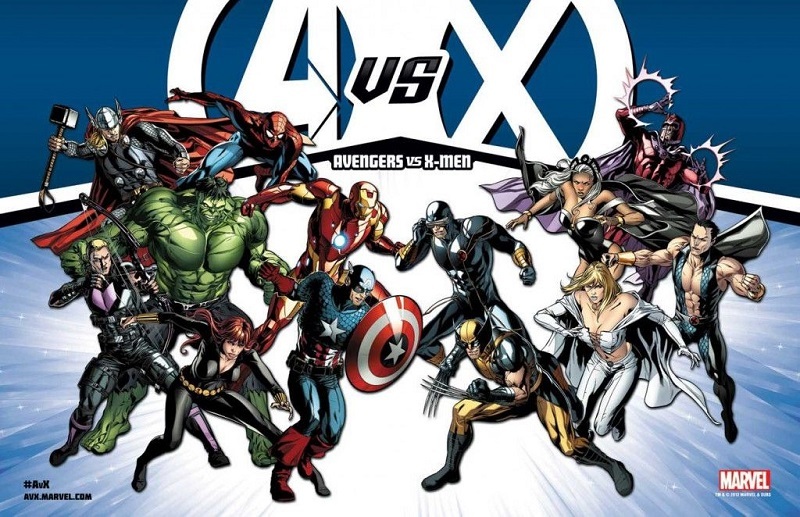 However, the X-Men operates as a team of mutants, with no power or leadership struggle, the main problem with the Avengers characters were the fight for leadership. Each of them have their strengths and are used to working alone, and the conflict comes from within (that’s where all the fun came from!). What was amazing about the X-Men was their seamless teamwork without words. No orders need to be given to anyone, and everyone seem to know what to do. 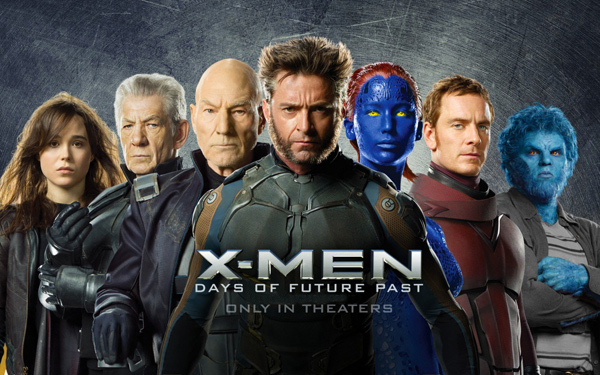 The filmmakers selected the “Days of Future Past” storyline because it would allow the filmmakers to reconcile any continuity dissonances within the “X-Men” film series. The time-travel element also allowed actors from the original film series and the intended reboot that was X-Men: First Class (2011) to appear in the same film together. The four main female X-Men in the principal cast (Halle Berry, Jennifer Lawrence, Ellen Page, and Anna Paquin) are all Academy Award nominees. The six principal male cast members (Hugh Jackman, Michael Fassbender, James McAvoy, Ian McKellen, Patrick Stewart and Peter Dinklage) are all Golden Globe nominees (Jackman, Fassbender and McKellen are also Academy Award nominees). When Mystique stages a rescue of the mutants at the Vietnam War base, she does so in the guise of a colonel named Sanders. Colonel Sanders is the founder of Kentucky Fried Chicken. For her role as Mystique, Jennifer Lawrence wore a special bodysuit. She had previously worn full-body prosthetics in X-Men: First Class (2011) but found that too uncomfortable. Bryan Singer is a big fan of Peter Dinklage and his show Game of Thrones (2011). Dinklage’s role of Tyrion Lannister inspired Singer to cast Dinklage as Trask. Simon Kinberg said that in the unwritten back story, Bolivar Trask was part of the group responsible for attempting to assassinate the mutant American President JFK. Kingberg also said that Trask had militarian supporters in the US Government and that during the Vietnam War, any soldier with a higher than anticipated kill record would be subjected to tests by Trask Industries to determine whether they were a mutant. Those found to be a mutant were put into quarantine. 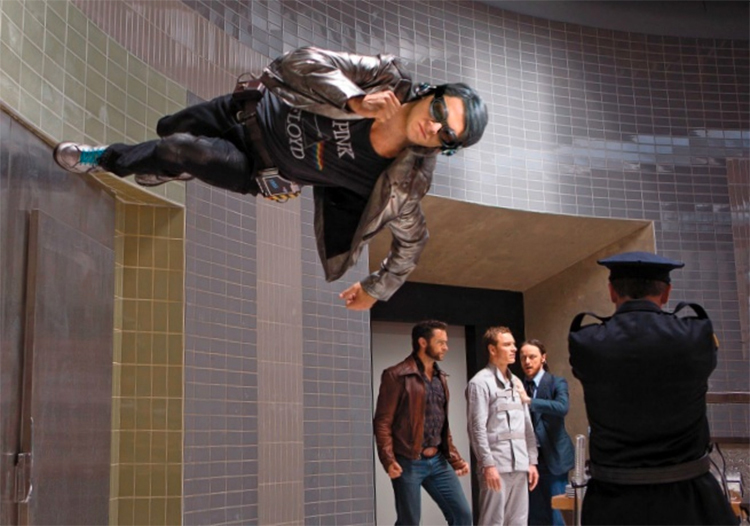 According to writer Simon Kinberg, the scene involving Quicksilver disabling the guards with his superhuman speed was mostly practical work while CGI was mostly used to create particle effects. 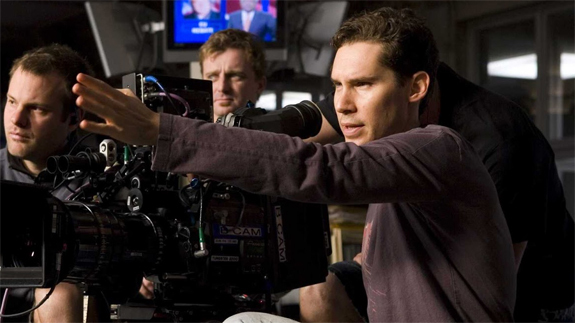 Bryan Singer filmed Quicksilver’s scenes in a special format of 3600 frames per second. This means that Quicksilver will be moving 150 times faster than normal. The camera was used to record close-ups and movements of Evan Peters, as well as the guards he encountered. 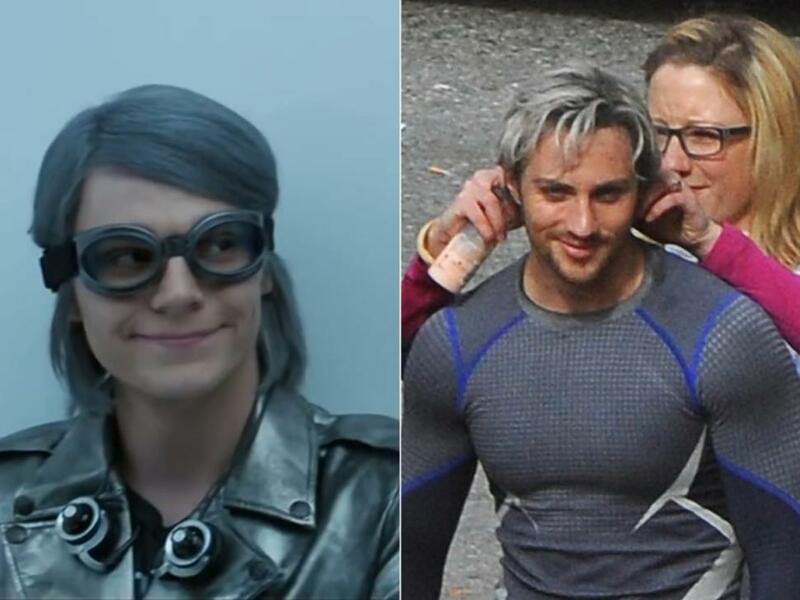 Two of Peter Maximoff (Quicksilver)’s relations are implied but never outright stated in the film due to copyright issues. He first remarks to Magneto that his mom used to know someone who could manipulate metal – in the comics, Magneto is in fact Quicksilver’s father. This is further implied when Peter’s Mother sees Magneto on television and reacts with horror and recognition. A deleted line of dialogue also addressed that Peter has a twin sister–Wanda, also known as Scarlet Witch. The addition of Evan Peters as Pietro Maximoff/Quicksilver to the cast sparked wide discussion over the direction of the character who is also slated to appear in Avengers: Age of Ultron (2015). Quicksilver had been discussed previously as a potential character in both X-Men: The Last Stand (2006) and The Avengers (2012), but legal complexities over the license to the character resulted in his omission from both films. However, in May 2013 both Marvel and Fox Studios announced a resolution to the previous legal issues, and that Quicksilver would appear in this film as well as an Avengers sequel, though under certain parameters: no reference to Quicksilver’s membership in the Avengers can be made in an “X-Men” film, and no allusion to his relations to the X-Men or Magneto (the character’s father) can be made in an “Avengers” film; the rights agreement between Fox and Marvel even goes so far as to stipulate the character cannot be referred to as a “mutant” in any Marvel film. Additionally, the day after the announcement of Peters’s casting, Marvel and Fox entered into a legal standoff over provisions of the rights agreement for the character, including the issue of whether Peters would be allowed to portray Quicksilver in any other film outside the “X-Men” franchise, possibly necessitating a second actor to play Quicksilver in any Marvel film, resulting in two different versions of the same character appearing in two competing film series. Ultimately, Fox and Marvel decided to cast different actors in the part for the “X-Men” and “Avengers” films, with Aaron Taylor-Johnson taking on the role in the latter sequel, thus preventing any connection between the two franchises and keeping the X-Men confined to a separate universe from those of the Marvel cinematic universe. 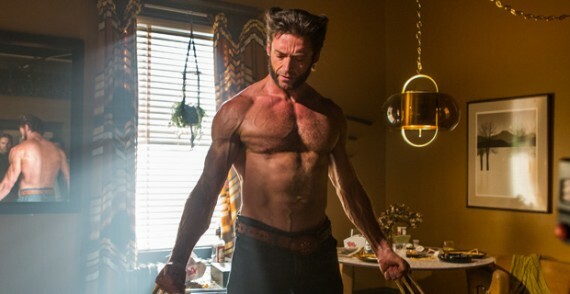 Including his cameo in X-Men: First Class (2011), this will be Hugh Jackman’s seventh portrayal of Logan/Wolverine, raising his own record for the most times a comic book character has been played by the same actor in theatrical films. He will also be the only actor to appear in the entire X-Men film series. Logan says he hopes he isn’t a parent. In the comics he has sired three children: X-23 (Laura Kinney), Daken (Akihiro) and Raze Darkholme. 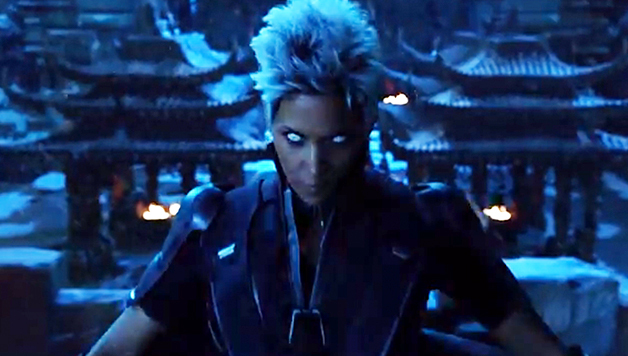 Halle Berry’s role as Storm had to be substantially reduced due to her pregnancy. 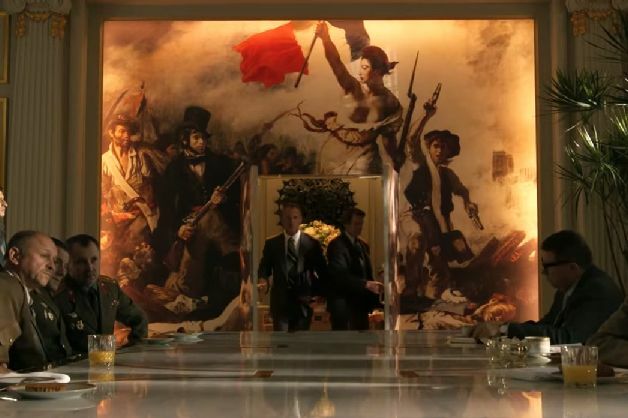 During Magneto’s fight with the presidential guards, there is a painting behind him. This painting is “Liberty Leading the People”, a French painting made to commemorate the 1830 French Revolution, and a symbol of rebellion. When a character asks Magneto if he knows karate, Michael Fassbender replies “I don’t know karate, but I know crazy”. This is a James Brown lyric in his early 70’s hit “The Payback”. 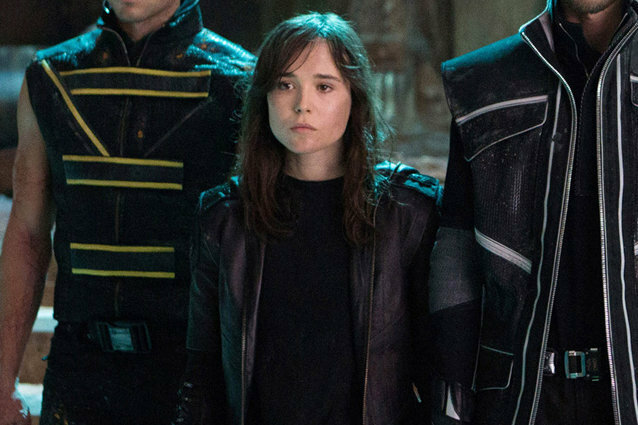 Ellen Page is the first actress to play the role of Kitty Pryde more than once. Though the character had appeared in three X-Men movie prior, each time, she was played by a different actress. Shooting went on under the working title “Hello Kitty.” This refers to X-Men member Kitty Pryde. Bryan Singer: When Mystique jumps out of the building and onto the ground below after attempting to kill Trask, Singer is a photographer, who is briefly seen holding up a camera. 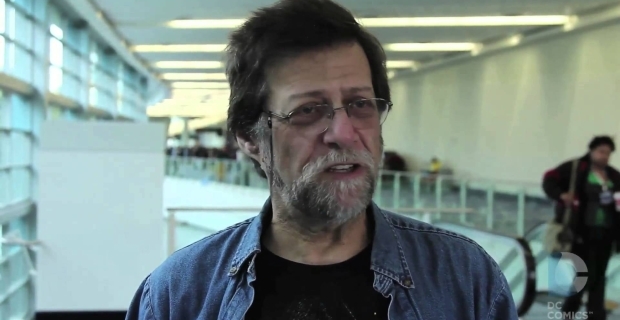 Len Wein: creator of the Wolverine character, plays one of the senators who deny Trask his funding for the Sentinel Program. Newton Thomas Sigel: a disguise Mystique takes to escape from the Paris summit. Sigel is the cinematographer for all the Bryan Singer-directed X-Men films. Check out X-Men: Days of Future PastOfficial Website and Facebook Page! X-Men: Days of Future Past is out in cinemas on 22 May 2014. Xmen is a great movie!~ Love it! 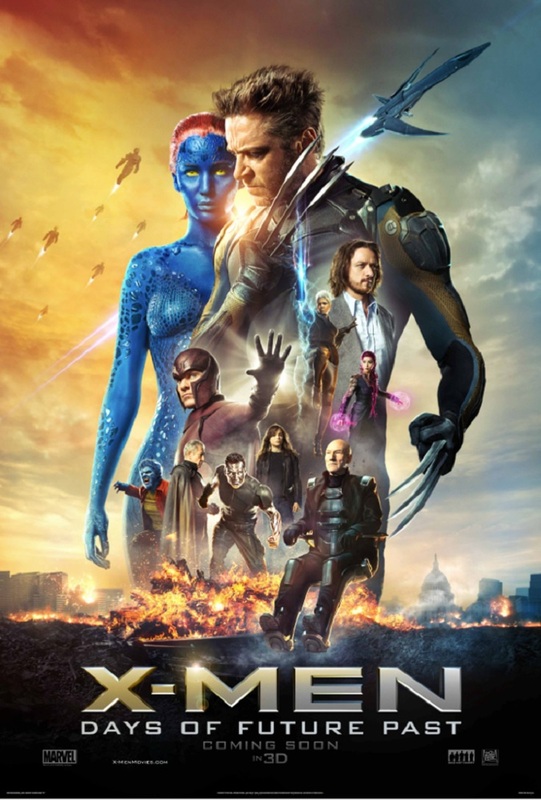 I always love to watch X-men and I like the way you review this movie. Thanks for the great review! I am actually an X-Men fan, but due to unfortunate circumstances I haven’t been able to watch Days of Future Past. I love how you describe your favorite parts. I’m looking forward to see Quicksilver because you highlighted some of his parts. Its a great review of x-man. It’s my favourite movie. It’s great. thank you dear. We watched this movie together with my son. It is excellent entertainment and I love how the X-Men saga is developed in this sequel! this is probably my favorite part of the series since it showed the original characters + it contains the background of the current characters. I love all X-Men series! Big Fan! I can’t say if this was the best X-Men movie yet (since I haven’t watch any of their previous films), though I can only say that this part appeared like a prologue to what the entire X-Men saga is all about. Really, bunch of huge revelations were made right there. I was in 2nd year high school when the cartoon series of this movie saga came to being. I was a Wolverine fanatic by then. But seeing the characters in the big screen is whole different story. It’s more vivid and it’s double the excitement. It feels like I’m in high school back again every time I watch an X MEN movie. I am a huge fan of Jennifer Lawrence and Hugh Jackman, so I think this movie is especially for me, moreover, I like the X men personalities more than these of the Avengers. I saw this movie and I absolutely loved it! I’m a huge fan of the Xmen franchise, and I think that this was the best one so far. I got the most confused with this xmen movie, mainly because professor x died in the previous movie but he just came back without much explanations in the wolverine after credits and that’s it. Then all the time slip and such, plus lack of actions in this movie (compared to the others) just…. Didn’t work too well with me. X-Men is a family favorite of movies in this house and this movie is no exception. We love it! Great review! I think Days of Future Past is the best X-Men of the series. It connects all the x-men series and ties up lose ends.